Ah, Paris. It's been two months since I came back from my favorite trip to Paris, and I'm finally writing about it. I always like to go on vacation for the 4th of July, a trend I started after realizing that DC during the 4th, while awesome, is really quite insane. When we first started planning this trip, it was going to be me, my mom, and, if he had time off, The Pilot. A few months into planning, my mom's sister decided to join (my Tia), and when The Pilot found out he was going to have 5 days off (unheard of), we knew it was going to be a great trip! My mom, aunt, and I landed in Paris on a very cold Friday morning. We checked into our hotel in the St. Germain des Pres (my favorite neighborhood), and then made our way to climb the Eiffel Tower. I did this on my first trip to Paris at about 10:45 at night, just before they were closing, and I thought it was the biggest waste of money, but my mom and aunt really wanted to go up. Well, climbing the Eiffel Tower at night is probably a waste of money, but during the day? Oh my goodness. Breathtaking. It was incredibly cold and windy, and raining while we were up there, and we were actually pretty miserable, but it was so worth it! We spent some time wandering the Eiffel Tower grounds (it had stopped raining when we came down) and then called it a day! What an incredible shot for wedding photos!! We were there during the Euro Cup and Paris was definitely celebrating! 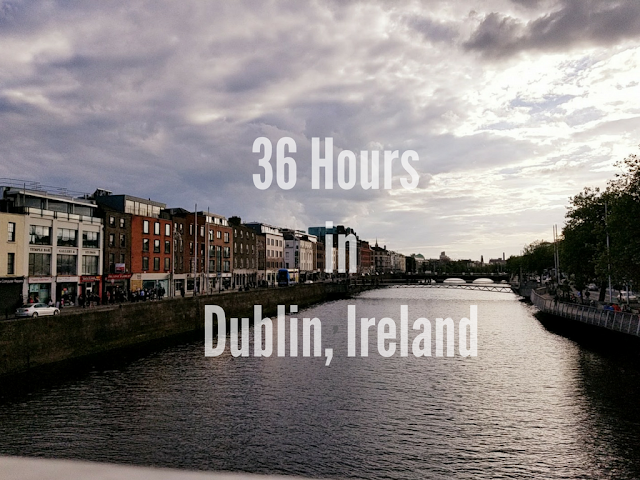 When we started planning our trip, the first thing my mom said she wanted to do was to go on a food tour like the one The Pilot and I went on while we were on our honeymoon. I booked us the Taste of the Latin Quarter and it was every bit as wonderful as the first food tour we went on. Our guide, Emma, was brilliant and I immediately fell in love with her and her knowledge of French cheese! After our food tour, we went to our hotel to pick up The Pilot who had arrived that morning! We immediately set off, first, making a stop at Poilane, for their famous apple tarts (imagine an apple pie baked into a croissant). We dropped my mom and Tia off at Notre Dame and The Pilot and I went to discover the Ile St. Louis. This was the best part of our trip, getting to see the usual sights while exploring a lot of new-to-me places! The next morning, we made our way to Montmartre. 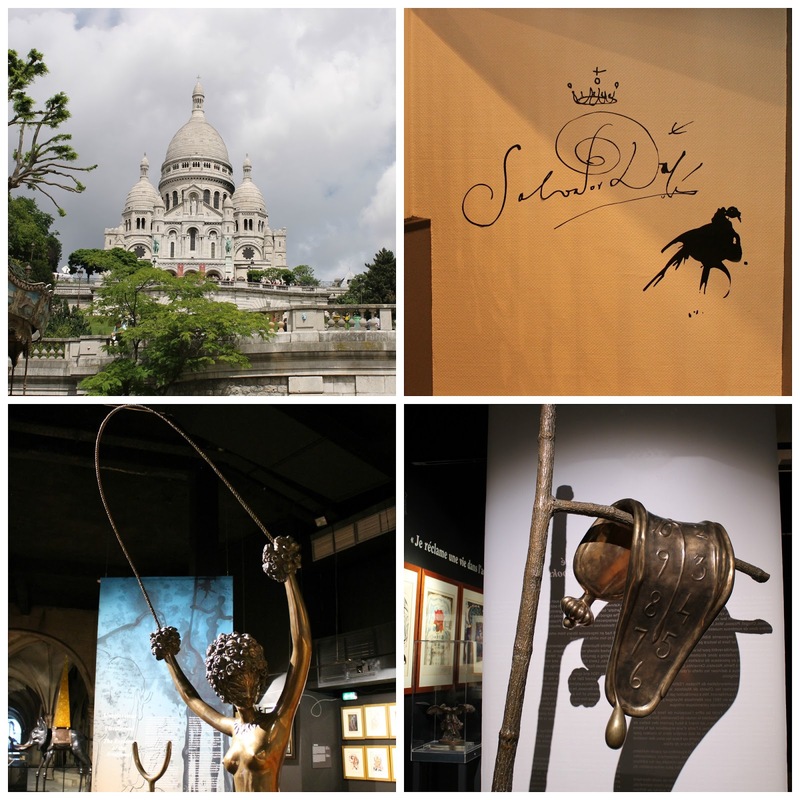 My mom, Tia, and The Pilot all went to Sacre Cour and I meandered off on my own to visit Espace Dali, a permanent collection of Salvador Dali's works. I fell in love with the artist while living in London and was really excited at the opportunity to visit this space! I highly recommend it! 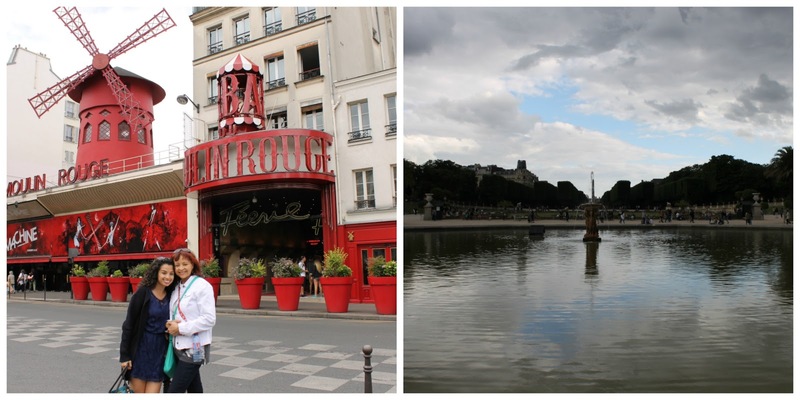 Then, of course, we paid a visit to the Moulin Rouge and wandered to the Canal St. Martin. Another cold, rainy day in Paris. We made our way out of the city to the Palace of Versailles. We explored the palace, and then The Pilot and I left to rent row boats while my mom and Tia wandered the palace grounds. We all met up afterward to visit Marie Antoinette's Estate, which I hadn't seen on my first trip to Versailles and explore the further edges of the palace grounds. I really love Versaille and would visit on every trip to Paris if I could, even if it was just to spend a day on the grounds! There are always tons of runners out and about and I would love to run Versailles sometime! The Louvre! Ok, I have a confession to make. 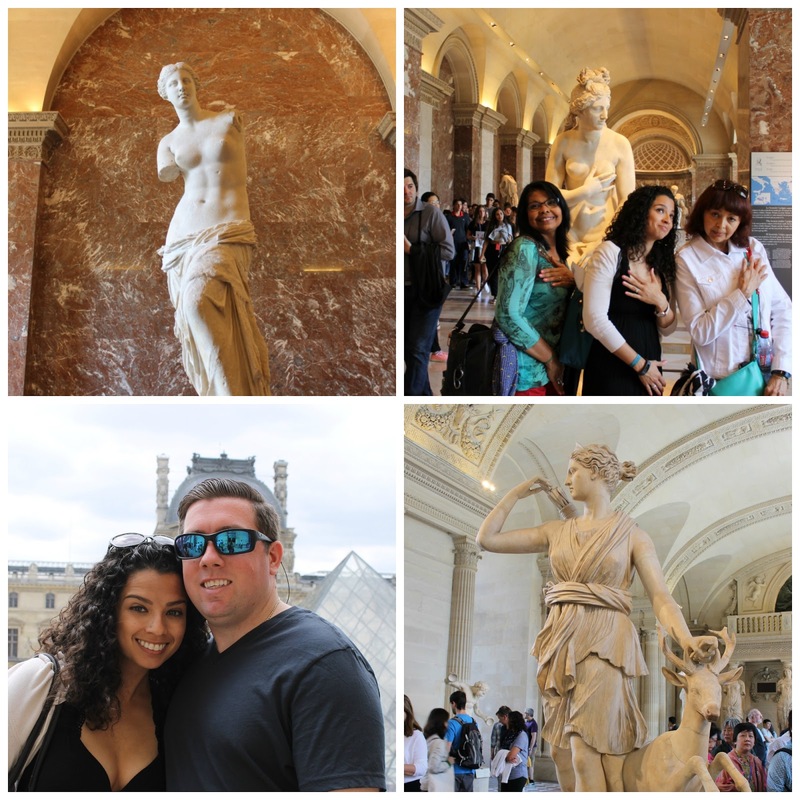 The first time I went to Paris, I spent 20 minutes inside the Louvre. I paid, walked in, saw the Mona Lisa, and left. Of course, I knew there was much more to see, but the Louvre truly blew me away. Most interestingly, aside from all of the art, is the history of the Louvre, which used to be a fortress. They're uncovering the basement (for lack of a better word), which used to be the moat around the fortress! We got to wander around the moat, which was so cool! No joke, I always used to say when I was a kid that I wanted a moat around my house. We left the Louvre and made our way down the Champs d'Elysees, meandering, window shopping, exploring, before climbing the Arc du Triomphe, which I had never done before, and now tell everyone I know that it should be the very first thing they do in Paris. Climbing the Eiffel Tower is great, but when you're in Paris and you want a view, what you really want is to actually see the Eiffel Tower. 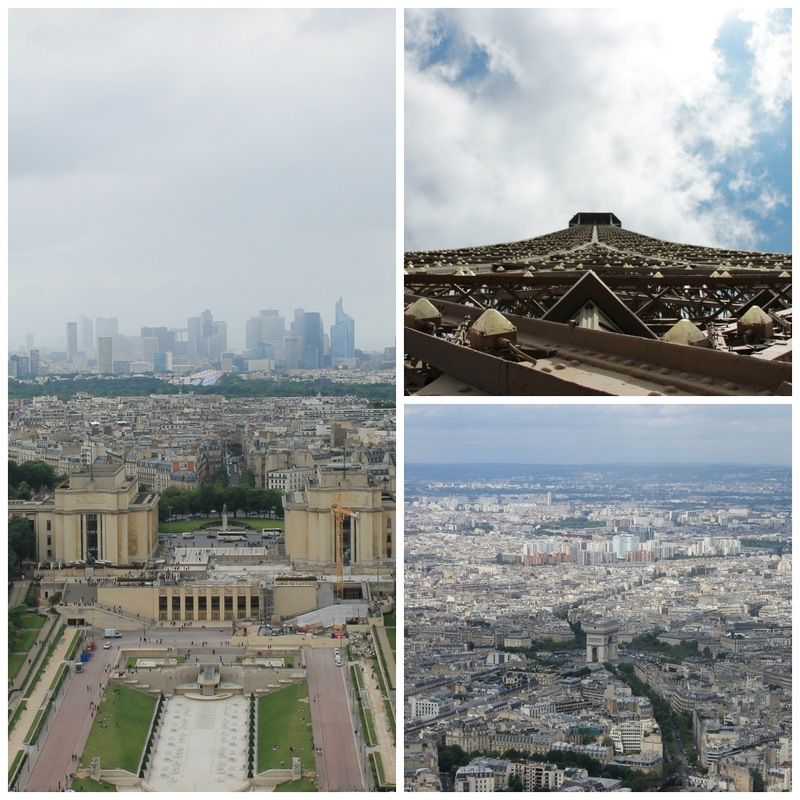 The views from the Arc du Triomphe are absolutely incredible and 100% worth the steep climb to the top. Though, if you're claustrophobic, I wouldn't recommend! Our first five days in Paris were a perfect mix of seeing iconic can't-miss sights, as well as exploring new places in the city. I loved hearing my mom talking about what has changed since she was in Paris as a teenager, and showing my aunt around the city for the first time! 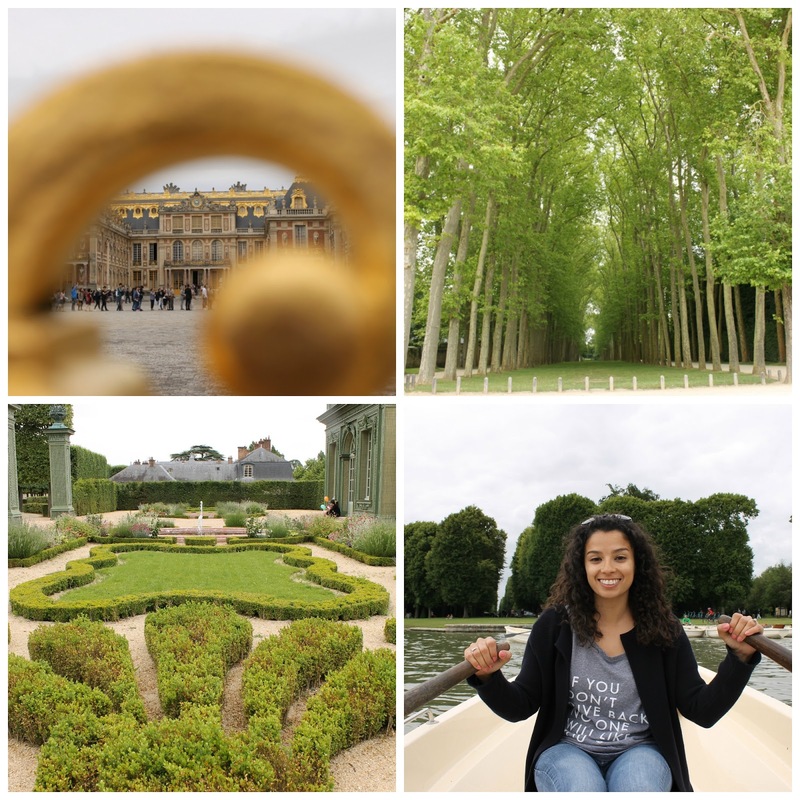 It was so fun to play tour guide, and to realize that after so many trips to Paris, I'm really starting to know my way around! 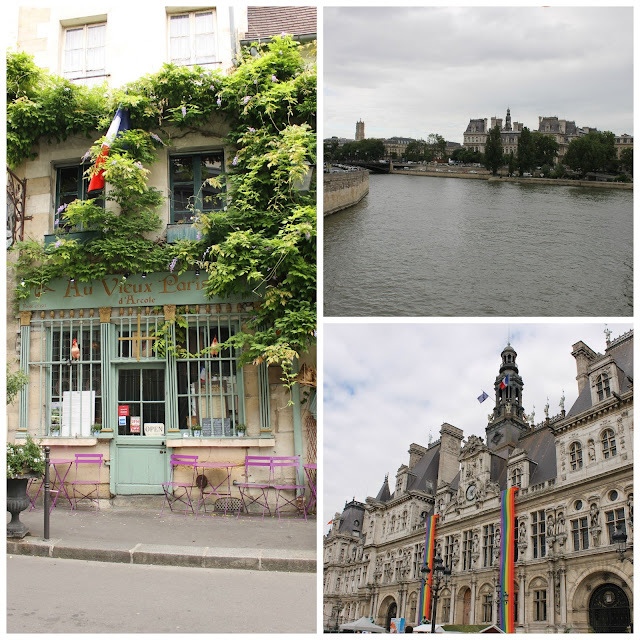 I hope you've enjoyed this post about my first few days in Paris! If you follow my on Instagram, you know that I'm in Australia right now! The long haul flight over was perfect for finally putting this (and another) post about Paris together, and I hope you've enjoyed reading!